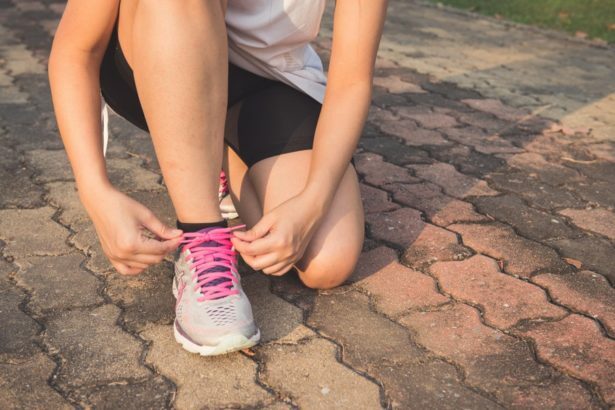 Most of us work out and exercise on the regular, and we also know that there are so many different ways and places to go to get the most out of your routine. But at the same time, we also do not know what is better, especially when comparing home workout to the gym, or class passes. I’ve discovered that there is a big difference when comparing these three, and each is helpful to you in its own way. You want to keep yourself motivated at all times, but also want to catch a break, so keep reading to learn what may be your new go-to place to work out. Gym memberships are the standard way of working out your body. There are so many different gyms where you can get your membership and many of which include a free trial so that you can test out which one is right for you! The gym includes all the equipment you’ll ever need, whether you’re working on legs, arms, or just simple cardio. The thing with a gym membership is that you’re on your own. You need to do some research, or maybe ask around for what is right for you, but other than that you work out by yourself. Sure, you can go with a friend, which may be the best thing to do because you can keep each other motivated, however, the majority of the time you need to push yourself. You can always hire a personal trainer, which really helps you out with a specific goal that you want to achieve, but they can be VERY pricey! So most of the time, it’s best to go solo. Once you get to the gym you need to figure out what you’re working on and push yourself to get all the sets in. But sometimes gyms make people uncomfortable, or self-conscious, and to me, there is absolutely no reason to be self-conscious. Everybody is there for the same reason as you: To look good, feel good, and be healthy! Memberships usually aren’t too expensive, and you can work out what you want, and when you want! It’s just the motivation that is missing. So if you’re one that needs motivation, a gym is still a good option, but maybe a class pass along with a gym membership is good investment! Class passes are on the rise of popularity, not only because they are flexible, but because they are comparable to gym memberships, only more versatile. A class pass is similar to a regular gym class membership, the only difference is it allows you access to multiple studios and workout classes, all under only one membership! You can create your own schedule and customize workout routines, for no extra membership costs! Class pass uses a point system that allows you to figure out which classes you can attend. There are different types of membership options to choose from, each giving you a number of points that you then get to “spend” in different studios or classes. For example, if your membership gives you 60 points, you then can participate in a number of classes each month until those 60 points run out. This is a great option for somebody who wants to try new studios and classes such as a cycling class, boxing, yoga, Zumba, or more! You can book a class whenever you want, and you can look at recommendations based on your given information. Classes are led by trained professionals who teach in small groups, so you will have their attention and they are always there to help you out! You can even make friends, making it a great way to get yourself out of the house and motivated! A class pass is a wonderful way to keep up a workout routine, as well it is a great investment if you plan on taking part in a large variety of classes! The cheapest way to work out is at home. Most of the time you don’t need any equipment, or at least very little. You can work out whatever you want and whenever you want! The privacy of training at home is what makes people feel very comfortable. It’s always great to read up on homework outs, or maybe watch some videos on Youtube of how you make the most of your at home work out. For simple workout’s you can invest in some dumbbells, weights, yoga mats, etc. However, if you want to work out the same way you do in the gym, you can choose to invest in specific machines, for examples: A treadmill, stationary bike, or a bench press. This can be pricey, and you will need space for them, but if you prefer the privacy of your own home as compared to the gym then that will end up being a great investment! You may not have the same experience at home as in the gym, but if you can keep yourself motivated then there is hardly a difference! After all, you can still have a gym membership, as well as continue some home workouts for days you just don’t feel like leaving the house. After comparing these three forms of workout locations, there is nothing wrong with any of them. They are all very effective in their own way, it all depends on personal preference and how much money you’re willing to spend on your fitness. Whichever way you choose to workout, just remember to push yourself to be the best you can be, and stay healthy!